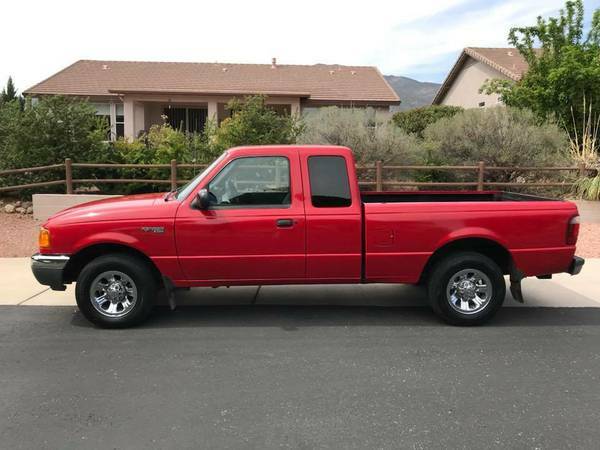 2002 Ford Ranger XLT Supercab w/ Tow Package Features: -4.0L V6 Engine -137,006 Miles -Complete tow package! -Functional FM/AM Radio -2 Wheel Drive -A/C and Heater work perfectly -Great MPG -Clean title, no known accident history -Can sit two in the back with flip seats -Power steering and power windows -Cruise control works great! Maintenance History: -Regular and on time maintenance! -BRAND NEW TIRES! Replaced 3/9/18, 80k mile warranty -Brand New spare tire, same as above -Brand New front and rear shocks, 3/8/18 -New front and rear brakes, rotors, & pads replaced in December -Radiator flush about a month ago, no issues -Air filter replaced regularly as needed -Regular oil changes, full synthetic I really hate to sell my truck, but have to move out of state and it makes more sense to sell it to a happy caring home. I always took care of this ranger so please no lowball offers!